The 2017 Dodge Durango infuses your rugged adventure with refined comfort. 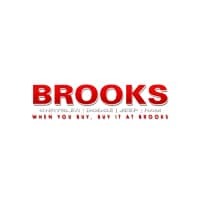 This midsize SUV combines performance gear with capability and passenger space to create a vehicle that can help you go anywhere with confidence. The 2017 Dodge Durango is ready for life’s big adventures, with three roomy rows of seating and high levels of comfort to go around. All three rows are generous with passenger space, unique in this class when third rows are often only good for kids. Adults can settle into the very back seat with head and leg room to spare. In addition to road-trip-ready comfort, the Durango also offers an abundance of luxury. Leather upholstery and a leather-wrapped steering wheel are a nice touch, with plenty of style to impress your friends. In the three-row crossover segment, there’s no model more powerful than the 2017 Dodge Durango. Even with the standard V6 engine, it tows more than most competitors, maxing out at 6,200 pounds. With the V8 engine, the Durango is even more heroic. Properly equipped, these models can tow up to 7,400 pounds. Add all-wheel-drive for increased traction on slippery surfaces, like icy pavement or sandy beach runs. 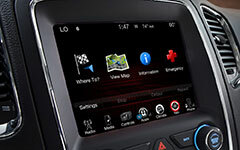 The Uconnect infotainment system is among the segment’s best. You don’t have to spend a lot of time looking for the feature you want – the screen’s large virtual buttons and logical menu structure help you make quick work of the whole thing. It also bests competitors with its touchscreen, which is quick to respond to your requests. But you don’t even have to rely on the touchscreen because the Uconnect voice controls are just as easy to use. The cabin’s dual USB ports keep your smartphones fully charged, which is a real advantage if you’ve come to rely on your Apple Wallet or Starbucks app. One quick glance at the 2017 Dodge Durango safety lineup will tell you that this crossover has its priorities straight. Standard items like anti-lock disc brakes and full-length side curtain airbags maximize passenger protection in a pinch. Add the Technology Group for a bundle of driver aids designed to deliver extra peace of mind. Among these is the forward collision warning system, which does more than sense an oncoming crash – it can actually apply the brakes. By coming to a swift stop, the forward collision warning system helps you reduce – or altogether avoid – a costly accident. The Citadel Platinum edition tows a maximum load of 6200 pounds, seats six, and offers an array of driver assistance features that combines to create an impressive driving experience. The Citadel style extends throughout, with exclusive badging and luxury trims like leather and heated/ventilated seats with a 9-speaker audio system complete with a subwoofer and a one-year subscription to SiriusXM. The Citadel Platinum is top of the line and feels it, from its 20-inch wheels to its keyless illuminated entry. This is the top-of-the-line luxury vehicle that can take the trail as well. This touchscreen system combines navigation, 3-D maps, and smartphone app connectivity to give you a hands-free options to keep you safe. Nine-inch screens give your rear seat passengers the option to watch Blu Ray or DVDs as you drive. 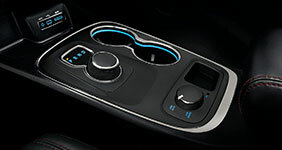 The redesigned center console houses the Rotary eShift to move between gears, media hub, and the AWD knob when equipped. 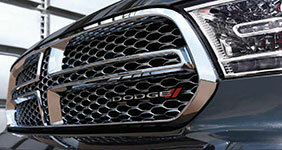 The distinctive Dodge muscular styling is reflected in the Durango’s unique crosshair grille. The 2017 Dodge Durango is a lot more rugged than the average crossover – but it’s also more refined. This striking combination makes it the perfect pick for your family adventures. The Durango’s all-wheel-drive performance gives you impressive control on slippery surfaces, while its towing capacity is one of the best in the class. Add in three comfortable, roomy rows and you have one of the best crossover SUVs on the market.